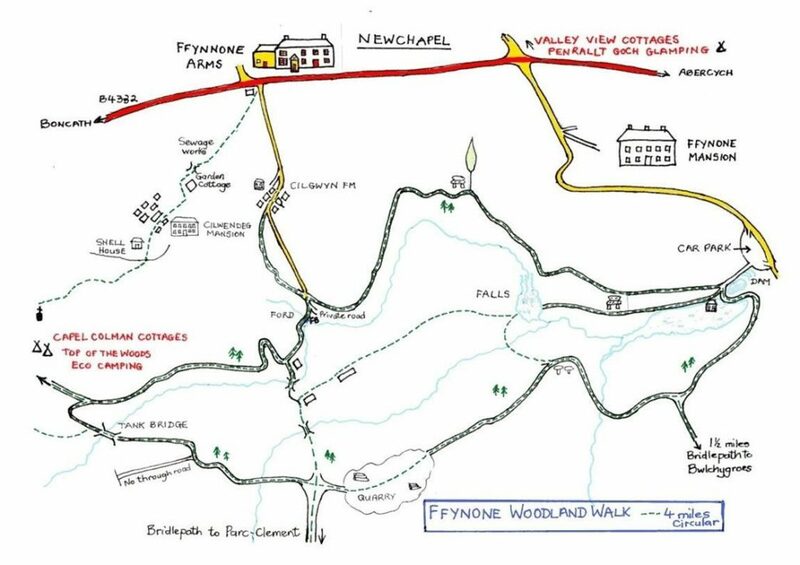 An updated map I sketched of the Ffynone Woodland Walk. The Car Park is just 2 miles from the Pub. It’s about 15 minutes walk directly to the falls or you can walk all the way round ( 4 miles) which takes approximately 2 hours. You can also park in the Ffynnone Arms and walk through Cilgwyn Farm opposite the pub.